The historic campus of Georgetown University in Washington, DC will be our home for the duration of the Institute. 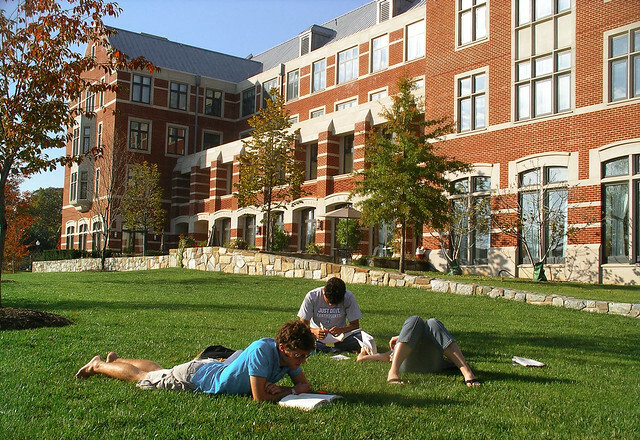 Georgetown University is known for its program in Art and Museum Studies, new initiatives in Public Humanities, and excellent scholarly and logistical resources. 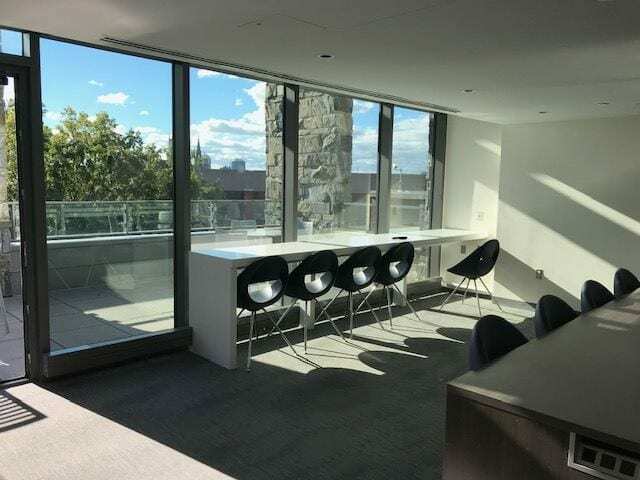 This location offers easy access to the wide range of public and private museums, libraries, and cultural collections in the nation’s capital and will serve as the hub for the Institute’s activities. 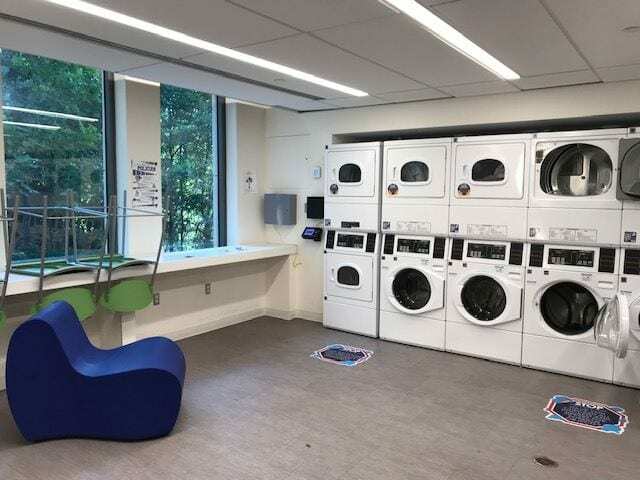 Participants will stay on-campus in Arrupe Hall provided through Georgetown Summer Housing in newly renovated air-conditioned suites with shared bathroom, wireless internet, access to a group kitchen, laundry facilities, and complimentary access to the fitness complex. We firmly believe that a shared housing experience will help to build a strong sense of community and encourage collegial exchanges. After numerous inquiries in the DC area, we found the costs for housing and amenities at Georgetown University to be the most reasonable and inclusive. Please note that housing expenses for Georgetown University will be deducted from your stipend (approximately $85/night). Participants have the option of seeking housing off campus, though it is not the recommended housing choice. 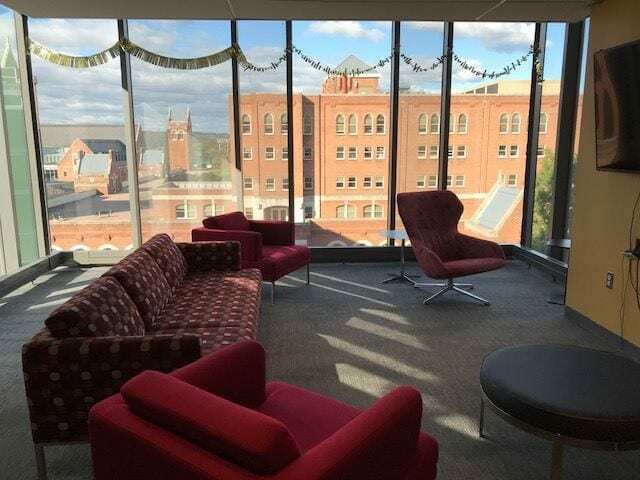 Here are a list of resources that may be useful for finding off-campus housing if necessary: Airbnb, Craigslist, Georgetown University Hotel and Conference Center, Georgetown Off-Campus Housing. 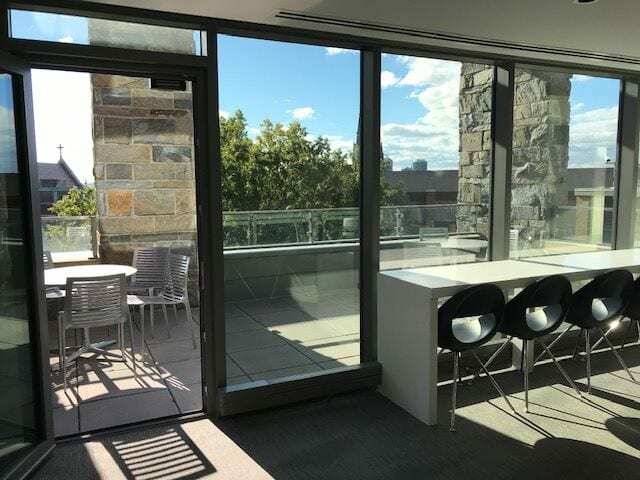 Lectures and seminars will take place at Georgetown University in the Murray Conference Room of Lauinger Library overlooking the Potomac River with a view of the skyline of Washington, DC museums and monuments. Lauinger, a 5-minute walk from the University housing, is the primary library for the University and houses materials in the humanities, social sciences and business, as well as U.S. federal government documents, the Booth Family Center for Special Collections, and the Gelardin New Media Center. Summer Scholars will have access to the stacks and computer terminals. 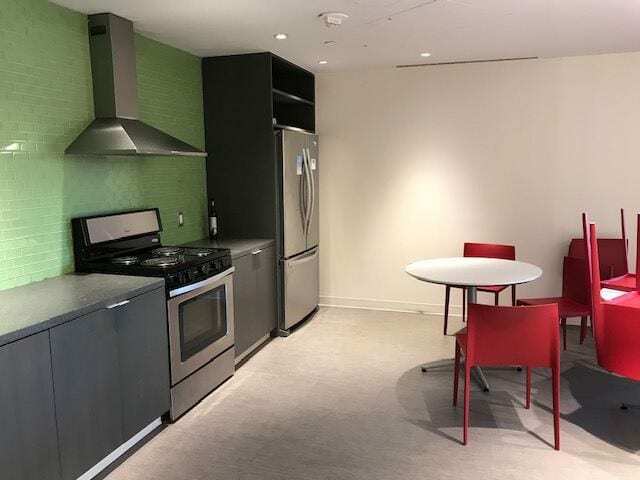 Situated near a historic neighborhood, Georgetown University provides an ideal location with frequent shuttles to metro stations that give easy access to all the major sites and museums in Washington, DC. 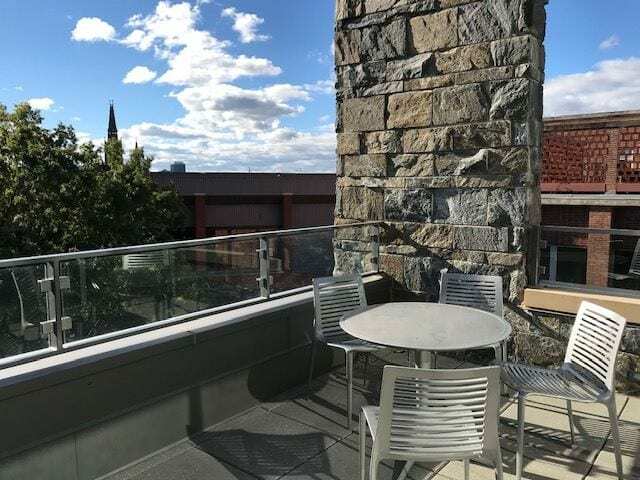 Grocery stores, restaurants, coffee shops, and other amenities lie within walking distance or are accessible by campus shuttles and bus routes. 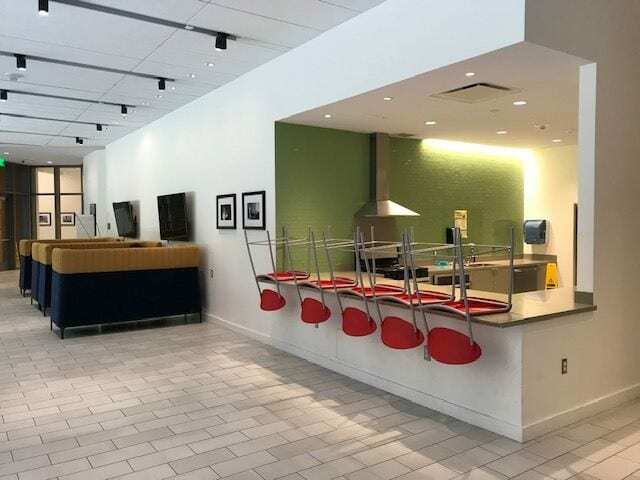 Individuals staying on campus may use the University’s athletic facility, Yates Field House, which includes courts for tennis, basketball, racquetball, handball and squash, a 25-meter swimming pool and diving well, universal weight machines, saunas and a dance room. In addition, the Georgetown neighborhood offers visitors many recreational opportunities ranging from canoeing on the Potomac to biking or running along the historic C&O Canal towpath. The Georgetown University Hospital is adjacent to campus in case of any emergencies or illness. It is very warm and humid in DC during July so dress light for summer, bring an umbrella for the occasional rain showers, and don’t forget a couple pairs of good walking shoes. Temperatures hover around 89°F during the day and 68°F at night. Most indoor facilities including campus housing and lecture halls, as well as museums, will be air conditioned. There is no on-campus parking, but there are visitor lots where parking costs $20-25 each weekday. If you are interested in visitor parking please contact the Office of Transportation Management. Washington, DC offers a modern, efficient and inexpensive public transportation system that serves the Georgetown community well. The campus shuttle is available from Monday through Friday. Using the shuttle and Metro system or busses a round-trip cost is approximately $3.00 – $5.00 daily traveling within the city. Metro SmarTrip® cards will also be available for participants. The White House, Capitol Hill, Smithsonian Institution, Kennedy Center, with a wide variety of performing arts programs, and downtown offices are all easily accessible by bus or Metro. Washington’s Ronald Reagan National Airport and Union Station are also nearby and can be reached easily by Metro or taxi. The campus also participates in the city’s BikeShare program and connects to a number of routes and trails for Summer Scholars to use as alternative transportation. ZipCars are another great option for short day trips or weekend trips. There are three major airports in the Washington, DC region. 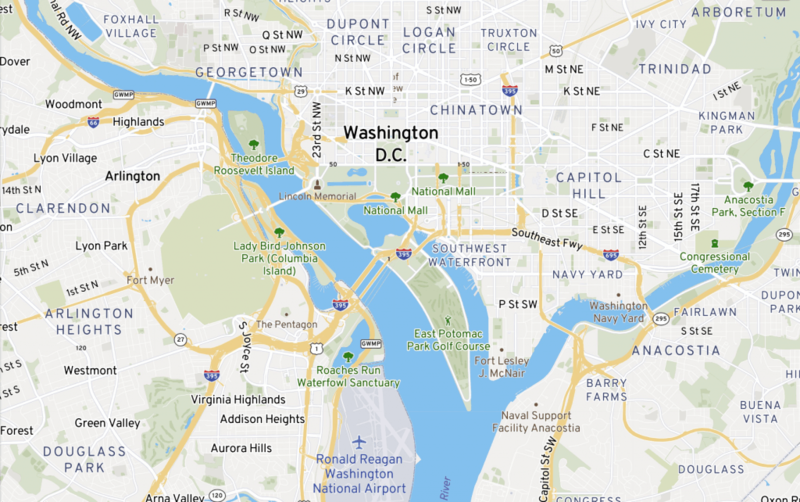 We recommend using the Reagan National Airport (airport code: DCA) which is the closest airport to DC, located just across the Potomac River in Virginia. It is accessible via its own Metro stop on the Blue and Yellow Lines. To catch a taxi, look for the official taxi stand outside of baggage claim. A ride into downtown DC will cost about $15-$20. Washington Dulles International Airport (airport code: IAD) is located 26 miles from DC in suburban Virginia. A ride into DC will cost about $60-$68. Baltimore/Washington International Thurgood Marshall Airport (airport code: BWI) is a bit further out in Baltimore, on the opposite side of the city from Georgetown. BWI Airport is accessible via an Amtrak train route that drops off at DC’s Union Station.